I&apos;ll never forget what it felt like learning that I was pregnant for the first time. I stared at that pregnancy test for five straight minutes with a mixture of pure elation and total fear. Then I called my husband. I tried to convince him to leave work immediately but it didn&apos;t pick up on the hint, and so I just blurted out "you have to come home right now. I&apos;m pregnant!." We had just started trying and I suppose neither one of us anticipated that it would happen so fast. "Oh. Um. I&apos;m on my way!," he replied. What can I bring you?!?" UMMM... A HAMBURGER DELUXE. AN ICE CREAM SUNDAE. PRE-NATAL VITAMINS... AND PALMER&apos;S COCOA BUTTER. True story... In other words: get me the essentials. I may have only been approximately two minutes pregnant at that moment, but I wasn&apos;t planning on wasting any time. I knew I had to start taking care of my body then and there on the inside and outside... well, ice-cream and red meat aside. 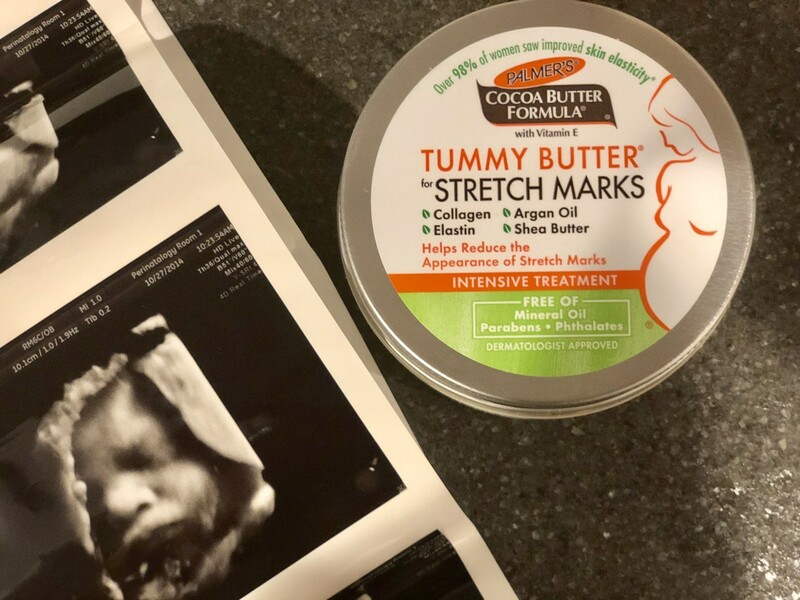 I&apos;d heard about the seemingly magical benefits of Palmer&apos;s Cocoa Butter from friends who had babies, family members, colleagues, and even my own mom. I used it daily from thatt first night to the day my son was born. Fast forward two babies and zero stretch marks later (! ), I am excited to learn that Palmer&apos;s has launched a few new products for expecting moms. 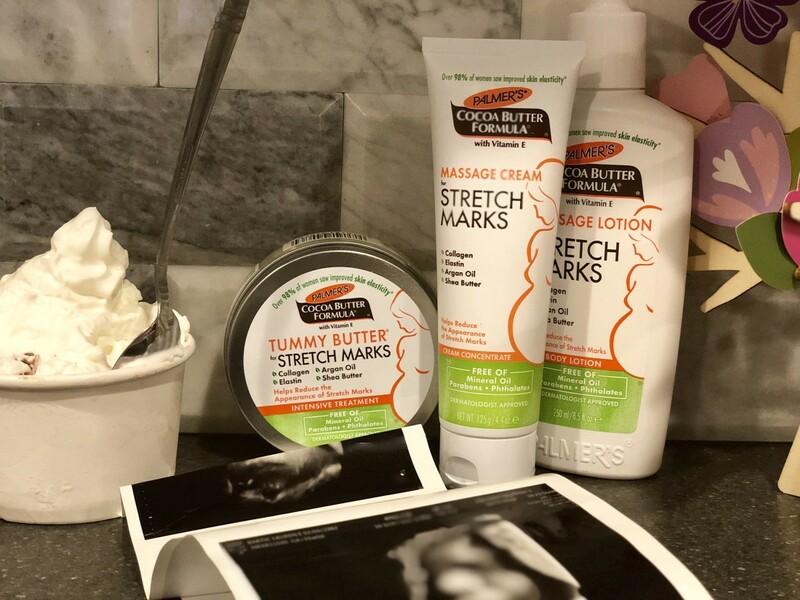 Already, the number one stretch mark brand in the United States, Palmer&apos;s has enhanced its popular stretch mark line to target collagen and elastic breakdown caused by those pesky pregnancy hormones. The new formulas even include more natural ingredients to combat stretch marks, retain moisture and increase softness. A non-greasy lightweight Massage Lotion, a Concentrated Massage Cream (great for targeting problem areas), and an intensely hydrating, slippery-soft meltable Tummy Butter round out this collection that has 98 percent of women reporting an improvement in skin elasticity, a reduction in the appearance of stretch marks, and a boost in their skin&apos;s texture and tone. These statistics sound amazing, but what I love to hear even more is that these products are made with super safe, healthy ingredients for new moms and their burgeoning bellies. As a first time pregnant-mama, I remember reading every label of every product I was going to use on my body. 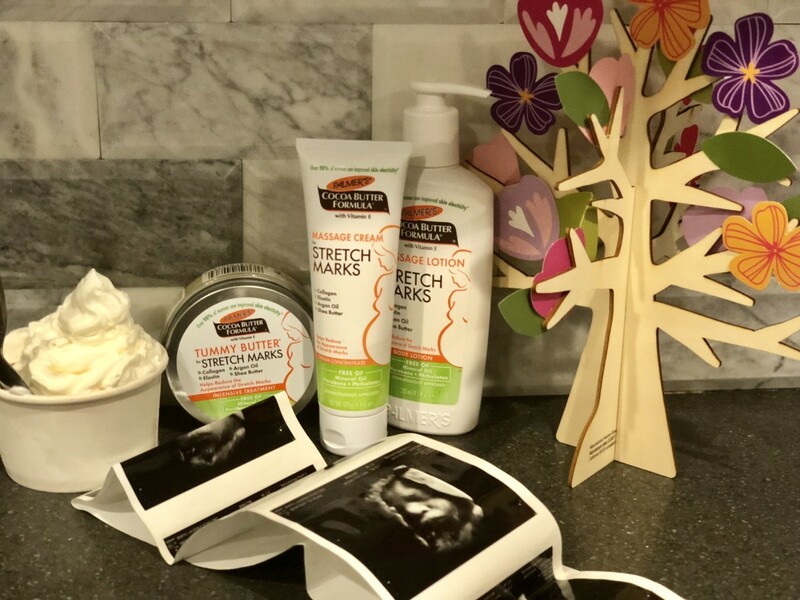 Expecting moms can feel confident knowing Palmer&apos;s stretch-mark product arsenal is made with cocoa butter and shea butter; Vitamin E; collagen, the protein that binds it all together and acts as a building block for the skin; elastin, a protein that helps the skin stay flexible Argan Oil, and lutein, a natural antioxidant that helps improve skin hydration. What&apos;s more impressive is what&apos;s not in Palmer&apos;s products: mineral oil, parabens, Phthalates, Phenoxyenthanol, and synthetic dyes. Just a couple of days ago, a girlfriend called and excitedly told me the news: she&apos;s expecting her first. It took me back to that funny phone call with my husband! And so I packed up a few favorite Palmer&apos;s products and sent her a care package in the mail. And, while I couldn&apos;t pack up a hamburger, I did send a gift card to her favorite ice cream hop. Go ahead and grow that bump, Mama. Palmer&apos;s has you and your belly covered. 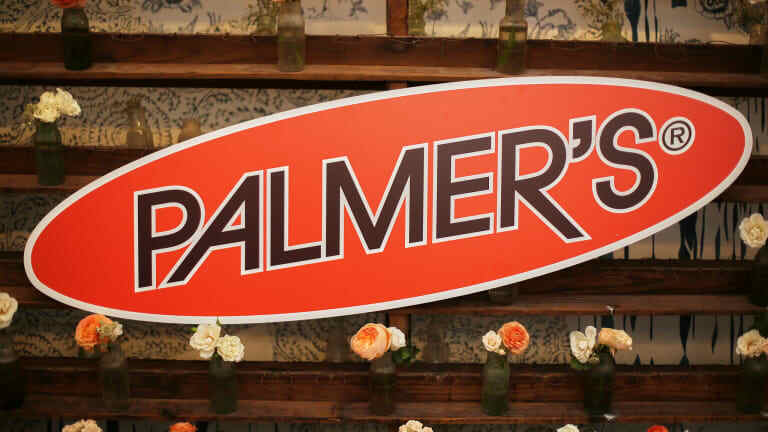 Palmer&apos;s latest collection of products will be available at food, drug, and mass retailers nationwide.